Modern Language Association citation and formatting research guide. There is one standard citation format that applies to every source type. The researcher is required to locate the “core elements” on their sources: the author’s name(s), the title, the title of the container, any other contributors associated with the source, the version, any numbers (such as the volume for a book or an episode number for a television show), publisher, publication date, and the location. Author. Title. Title of the container. Other contributors, Version, Number, Publisher’s name, Date of publication, Location. 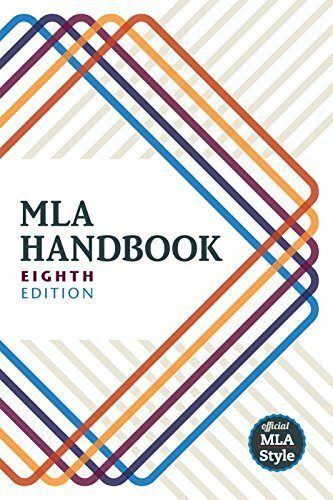 *Note that similar to previous versions of the MLA Handbook, there is a hanging indent. The first line of a MLA 8th edition citation is flush against the margin, while the second and any other subsequent lines are indented. MLA (Modern Language Association) style is most commonly used to write papers and cite sources within the liberal arts and humanities. The following online guides are consistent with the revised 8th edition.